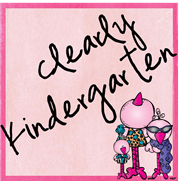 Clearly Kindergarten: Let's Get Acquainted! 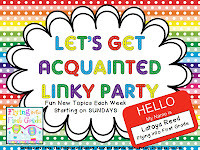 I am linking up with Flying into First Grade for this weeks Let's Get Acquainted linky party!! This weeks theme is nouns, you list your favorite person, place, thing and animal. I am going to bend the rules a little bit right off the bat...sorry! My favorite people are my hubby and my kids! I couldn't possibly pick between them! My hubby is amazing and we have been together forever...well it seems like forever since we met and started dating in high school! Our kids are the center of our world! Our son is in 4th grade and looks just like his dad, and our daughter is in kindergarten and looks just like me! I'd love to show you pics but the hubby doesn't like me posting pics of the kiddos when you can see their faces. The beach! I know I live in Wisconsin but I think that is why I love the beach so much.....it is a break from the cold! Thought we do have some great beaches here in the summer too, this pic is from Florida! My iPad! I love it! I use it all the time to try and keep up with my blog stalking! I would love to say our dog...but we don't have one yet! We are going to try and sell our house so we told the kids they had to wait until we sold our house and moved to get a dog. So instead I will say our cat. We got her when our son was about 4 months old and she thinks she is a dog most days! She will even play fetch! That is my parent's dog in the picture with our kitty, we dog sit when they go on vacation. So there you have my nouns! 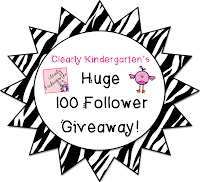 Sorry I missed last weeks linky but I was busy putting together my HUGE 100 follower giveaway! It is open unitl Monday at midnight...so if you haven't already hurry over and enter to win!!! Click the picture below to take you there! I also just uploaded a new sight word book to my TpT store and I just had to let you know cause the graphics in it are soooo cute! They are from Krista at Creative Clips, I just love her stuff! 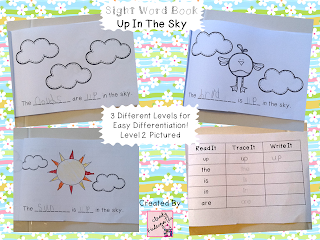 Click on the picture to check out my sight word book for the words up, the! I have 4 more days before spring break! I think I can I think I can!!! I am hoping to finish a bunch more of my sight word books over break and then start to bundle them so stay tuned for updates!!! For those of you already on spring break I am JEALOUS!! But I hope you enjoy it! I love the beach to! It is such a calming place to go! The beach is my favorite place as well! My favorite place is also the beach. I don't know how people can't love it there! Omg! I am from WI! I love the beach! I didn't think of that one when I was doing this but love it too! I love the unit from Creative Clips too. I just worked with it the last two days making calendar pieces and clip it games. Your book is adorable. I love how versatile it is. Girl..you and me both with the beach! It is heaven to me :) Hope you have a great week! We live 3 hours from the beach and never go. So sad, I love it too but married a mountain type guy! You have a cute blog and lots of experience- a great combination! I'll be back!